The John Dewey Society Annual Meeting will be held at the American Educational Research Association Meeting in Chicago, Illinois on Thursday, April 16 through Monday, April 20, 2015. The JDS Symposium: The Legacy of Maxine Greene: Critical Engagements with her Philosophy of Democratic Education. 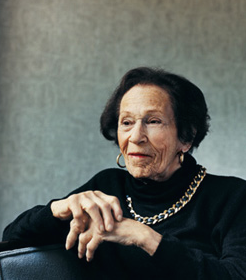 Maxine Greene (1917-2014) was one of the most prominent and profoundly educative philosophers of education of our time. A long-time member, her book Dialectic of Freedom originated from her 1988 John Dewey Lecture. The Society wishes to respectfully mark her passing with a scholarly examination of her philosophy of democratic education. Rather than the relatively straightforward task of heaping praise upon her work, this panel actively seeks to make critical tribute, to keep searching for the imaginative possibilities that lie in Greene’s philosophical writings related to democracy and democratic education. As a progressive thinker and educator, Greene worked across multiple traditions within philosophy of education —existentialism, phenomenology, pragmatism— and within philosophical subfields such as aesthetics, epistemology, as well as political and moral philosophy. Across these multiple traditions and fields, she imaginatively and courageously created a body of work that, like John Dewey’s, used philosophical tools to interrogate the greatest questions and educational dilemmas of her era. This symposium collects a set of scholars to interrogate the implications of Greene’s scholarship for the field. The authors take up themes that examine Greene’s work in light of the perennial philosophical questions surrounding democratic education, critically engaging and extending her work towards key educational challenges and issues of today. 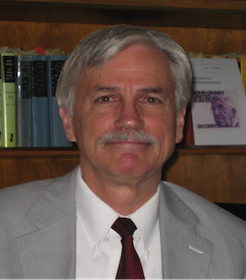 The John Dewey Lecture will be provided by Dr. Larry A. Hickman. Dr. Hickman is the Director of the Center for Dewey Studies, and he is a professor of philosophy at Southern Illinois University. His work as an ambassador for the Center has contributed to the global renaissance of Dewey studies. A graduate of the University of Texas at Austin, he has published influential studies on Dewey’s philosophy of technology. Accomplishments during 15 years as director include 180 external presentations on behalf of the Center in the United States and 18 foreign countries and two book-length monographs, 10 edited volumes, and 80 essays (published in 9 languages). • “Geography, History and the Aims of Education: The Paradox of Multiculturalism in Democracy and Education.” Scott L. Pratt, University of Oregon. • “Grounding Teacher Activism Today in Dewey’s Enduring Ideas of Publicness and Communication.” Sarah Stitzlein, University of Cincinnati. • “Dewey’s Ancestry, Dewey’s Legacy, and The Aims of Education in Democracy and Education, Chapters 7-9.” Avi I. Mintz, The University of Tulsa. Loyola’s Water Tower Campus on Saturday April 18. Time: 10-12. Corboy Law Center, 25 East Pearson St., Chicago; room 211. The School and Society Forum invite JDS members and friends into the community to learn from and within local communities. This year’s Forum brings us into conversation with parent activists from Chicago-area organizations, including Raise Your Hand and More than a Score, who will be offering a panel and discussions about their work for JDS members and friends. These organizations advocate on behalf of children in Chicago Public Schools (CPS) for more funding, saner assessments, and more. Panelists include Chicago parent organizers Wendy Katten, Cassie Creswell, and Nellie Cotton.